Check the user whose information we want to delete. 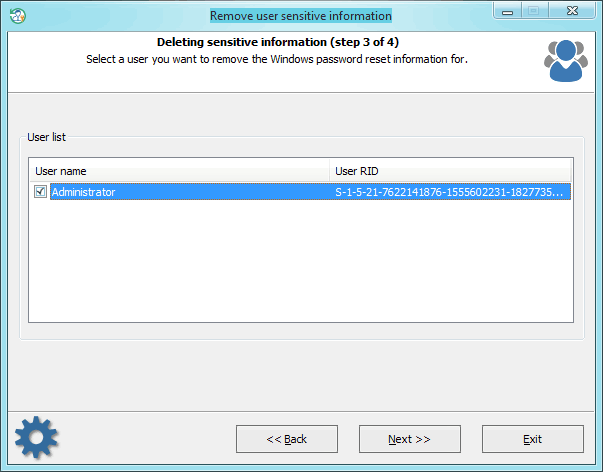 When creating a password reset disk, the user's encrypted password is stored in the Windows registry. While the diskette stores the encryption key. Deleting the encrypted password from the registry makes the further existence of the reset password diskette useless.